The Kupe platform off the Taranaki coast. The Government is hoping to expand New Zealand's oil and gas production sector to other parts of the country. Minister releases details of new oil and gas block offer in sector key to Govt’s growth strategy. Delegates filing into a petroleum summit in Auckland were greeted by activists holding montages of what they say is damage caused by oil drilling as new areas of the country have been opened up for exploration. About 20 protestors held up large images of forest fires and oil soaked birds outside the Sky City conference centre. There were about 10 uniformed police watching over the silent demonstration and security has been beefed up in the building where there was a noisy protest by activists who got past checks last year. Delegates were warned to remove identification lanyards if they leave the building. More than 500 delegates at the Advantage New Zealand event are being screened twice and having photo identification checked before being allowed into the main auditorium where Energy Minister Simon Bridges outlined details of new areas being offered to explorers. Two onshore areas in the West Coast Basin and one in Taranaki have been offered in the 2015 Block Offer. There are four offshore areas in the Reigna-Northland Basin, Taranaki Basin, Pegasus Basin and Great South-Canterbury Basin. The total acreage included in the tender is 429,298 square kilometres - with just over 4000 square kilometres onshore. The government is hoping more big overseas explorers will be attracted to the country. Since 2012 the government has granted 35 exploration permits throughout the country. Oil is New Zealand's fourth largest export but it all comes from Taranaki. Bridges said he wanted see more activity in the other 17 petroleum basins that were underexplored. He said the recent fall in oil prices had not changed the industry's fundamentals. "Energy companies can, and must, look past the immediate and take a long term view if they are to fulfil world energy aspirations into the future." New permits will be announced in December. Sub-US$50 a barrel oil will, according to one analyst, be the "elephant in the room" at the Advantage New Zealand Petroleum Summit where security has been beefed up after protests at a similar event in October. Then, about half a dozen women lobbed loud personal alarms into a room while Energy Minister Simon Bridges was speaking. Conference organisers have warned of the threat of further protest action following a march in Auckland yesterday against deep-sea oil drilling. Bridges will today release details of the latest block offer - opening up new areas which oil and gas companies can bid to explore - as the Government continues to promote the sector as a key plank of its economic growth strategy. Woodward Partners analyst John Kidd said exploration was already contracting after a boom in the past two or three years where almost $1 billion was spent on projects. Kidd said there were signs the oil price could be depressed for several years but that would not necessarily hurt exploration around New Zealand. Early-stage exploration such as seismic surveys and modelling was cheap compared to drilling, especially in deep water, and this could suit companies looking to spend less. The Government block offer regime allowed companies to defer drilling for up to five years and this was suited to the current price cycle where explorers would be more prepared to invest in drilling - which can cost $1 million a day - when the oil price recovers, he said. "We're heading into a period of natural decline which is the nature of the business. The question is how do we shape for the next cycle?" Petroleum Exploration and Production Association chief executive Cameron Madgwick said last year's block offer had attracted two big new international players - US giant Chevron and Indian government-controlled ONGC Videsh - at a time when oil prices were heading down. "Although there's currently more supply than demand, that won't last forever. Everyone knows this is a long-term game - companies are attracted here because we have a sound fiscal regime, a sound regulatory regime." 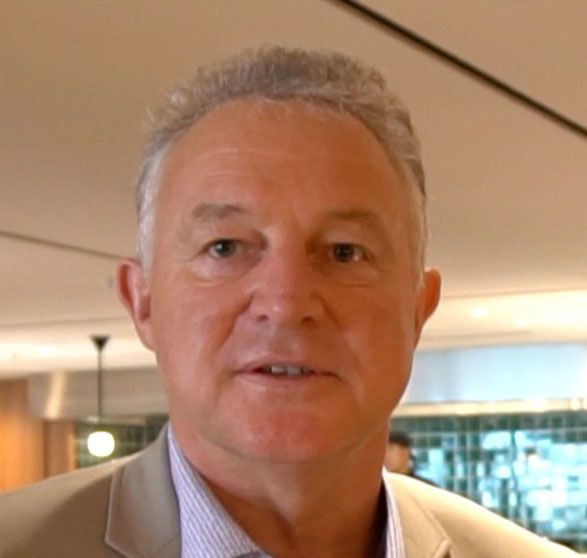 Madgwick said he respected the right of opponents of the industry to protest and it still had to work to engage with the communities it operated in, but he wanted to encourage a "mature conversation" about New Zealand's energy future. Topics covered by keynote speakers would include the science of oil exploration and how the industry has engaged with opponents in other countries. Greenpeace climate and energy spokesman Steve Abel said there were now questions about whether the Government programme was dead in the water. "The oil price is a big problem for the industry, especially the costly end of it - deep-sea drilling." He said "first and foremost we shouldn't be doing it", and instead concentrate on opportunities in the clean energy sector. • $2.5 billion of GDP in 2010, almost $2.8 billion of GDP last year. • 7700 jobs in 2010, rising to 11,720 jobs last year.